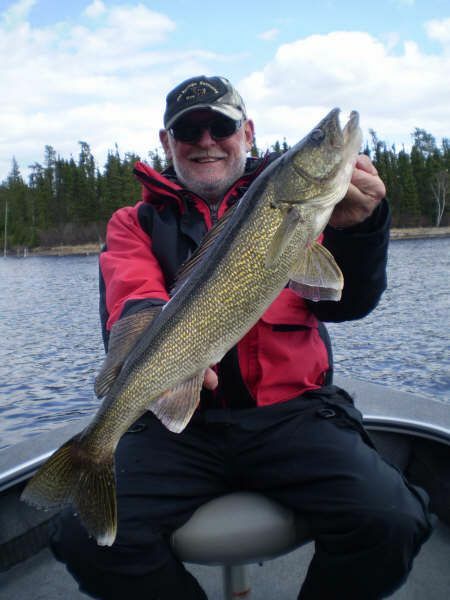 We saw some frost in the mornings this week and though you wouldn’t call it a heat wave, we did see a steady improvement in the weather and the fishing. Several days of mostly sunny weather have pushed main lake temps into the mid 40s and many sheltered bays are now steady into the 50’s. 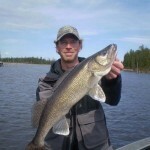 The walleye bite was much different the first part of the week than it was for the latter half. 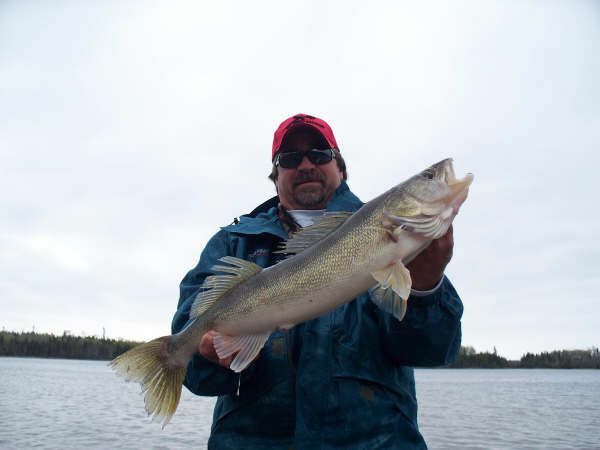 On Sunday and Monday, most walleyes were caught on husky jerks as they squeezed into the shallows to find warmer water and food. 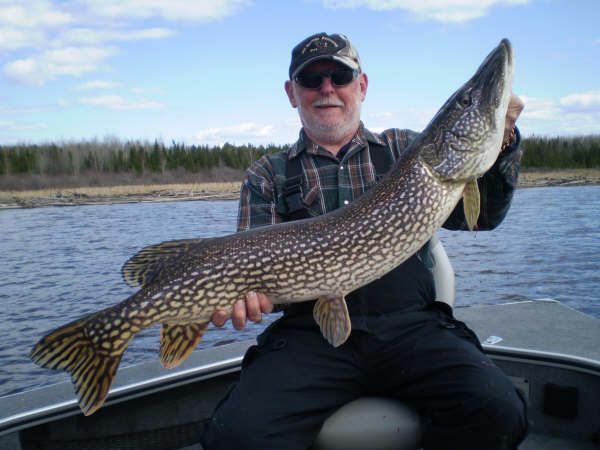 Many were caught in 2-3 ft. including big fish. 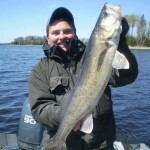 As the week went on and the surface temps warmed, we found more and more fish located in classic spring spots. In the mornings, most were caught dragging 1/8 oz. 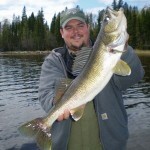 jigs in 8 – 12 ft. of water. 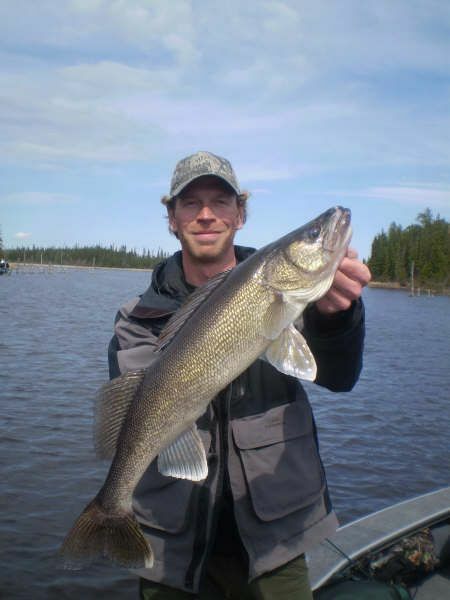 On sunny days, the pitch bite turned on in the afternoons with aggressive fish chasing down jig and twister tail combos cast to the shoreline. 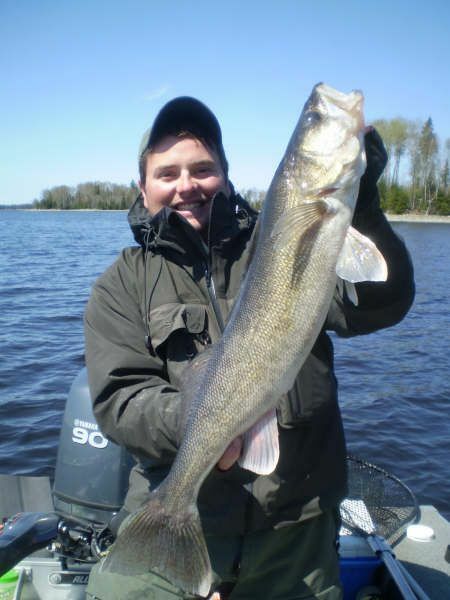 Volume was still a little bit off from normal, but we ended the week with most guides close to filling the front of their guide sheets (23 spaces) for walleyes over 18 in. 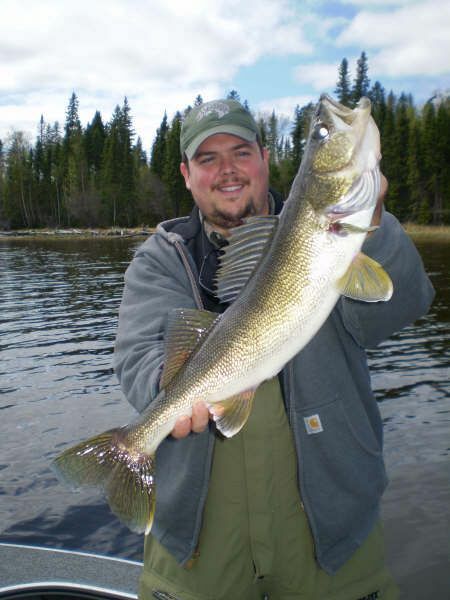 For the week, we caught and released 11 walleyes over 27 in., including 2 – 29s and 2 – 30s. 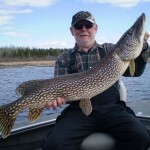 We didn’t have many groups targeting pike this week, but we did have 7 over 37 in. and we topped out with a 41. Smallmouth bass are just starting to show up as incidental catch while pitching jigs to shore. This week there were 12 over 17 in., including 3 – 18’s and 1 – 19. The bass tend to arrive in waves as the bays approach the mid 50s and I expect those numbers to increase dramatically this coming week. 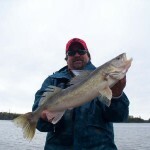 The Kicker: “Ten degrees Fahrenheit doesn’t seem like much of a difference to us, but in the walleye world, 40° to 50° is the difference between feast and famine.” …. A guide glad to find 50°.